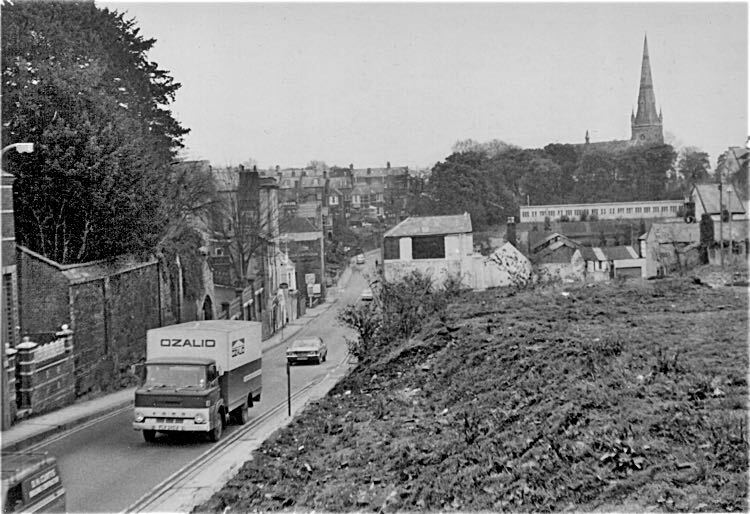 The Artillery Inn is still fondly remembered by many who lived in the Larkbeare area of the city, or who called in while travelling Holloway Street to or from Topsham. The inn was first listed in a trade directory in 1822. 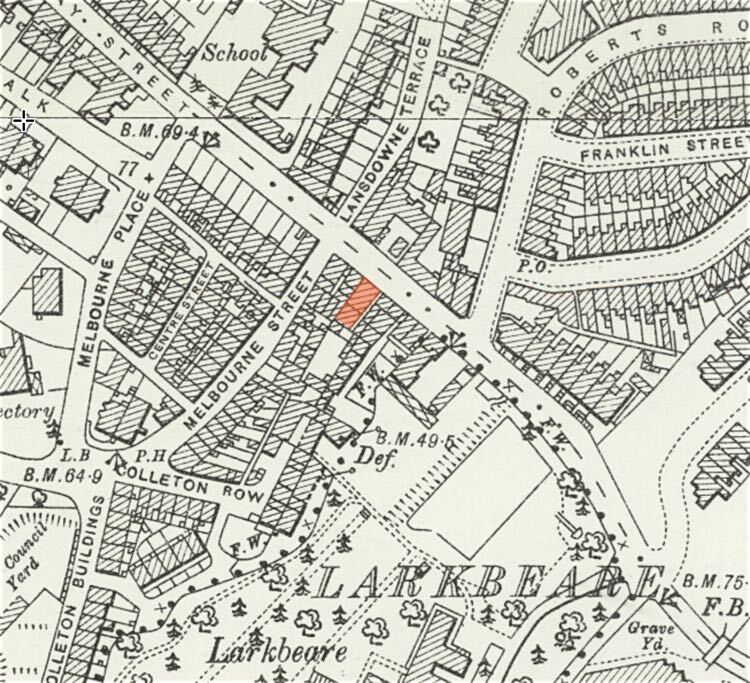 James Barker, was listed as landlord at the Artillery Inn in the 1839 Robsons Directory. He filed a petition for bankruptcy in April 1846, having previously run the Exmouth Inn, and the New Artillery Inn. Just as today, public houses could undergo minor and major names changes. Being close to the river, the inn was used for an inquest in June 1855 into the drowning of a lad named Melhuish at Trew's Weir, while the drowning of 11 year old William Langdon, in July 1883, was also recorded at the inn. The licence was ordered to be transferred from James Gill to George Turner in October 1856, and in 1860, the two year old daughter of Turner died. By February 1861, it had become the Royal Artillery Arms, when a fire broke out causing £400 worth of damage, and the Flying Post reported "Of the house little more than the walls remain". By April, Edward Turner, the owner and the landlords father, intended to rebuild the house, but the Turnpike Trustees recommended the front 13ft of four properties, including the inn, be purchased to widen the road. Turner had required £800 for his frontage. By June 1863, the inn must have been rebuilt because an advert appeared promoting the inn for the forthcoming Bath and West of England Society's Show to be held in Exeter. A case of 'card sharping', in May 1867, at the Artillery Inn was heard at the Guildhall; militiamen from the barracks gave evidence, indicating that the house was frequented by the military, and in 1871 an inquest was held into the death of the wife of a driver in the Royal Horse Artillery, who lived in Melbourne Street. Other incidents involving the military were recorded at the Artillery. By June 1874, Mrs Pullen was the landlady, perhaps in a managing capacity, because in 1879 William Turner's wife gave birth to a daughter. There was a temporary transfer of licence, possibly the result of a complaint from the teetotal movement, in December 1893, from Mr Turner to Mr George Yelland formerly of the Royal Oak, St Thomas, which became permanent. George Yelland raised his family at the inn, until his death in November 1901. A marble clock was presented to his only son for his 21st Birthday, in July 1902. Yelland's widow and son continued to run the inn until 1918, when G Rowe took over the house. The inn finally closed in the 1980s and was replaced by social housing. 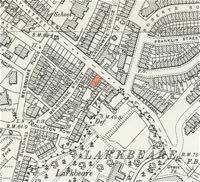 The Artillery Inn was in Holloway Street. 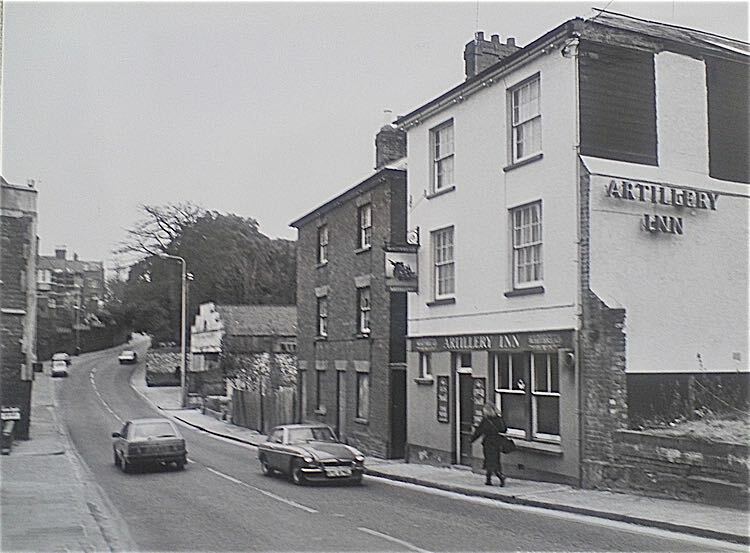 The Artillery Inn–the Ship Garage was further down Holloway Street, on the same side. Great Larkbeare House was obliquely opposite–part of the side wall is extreme left. The side wall of the Artillery Inn can be seen in this view.